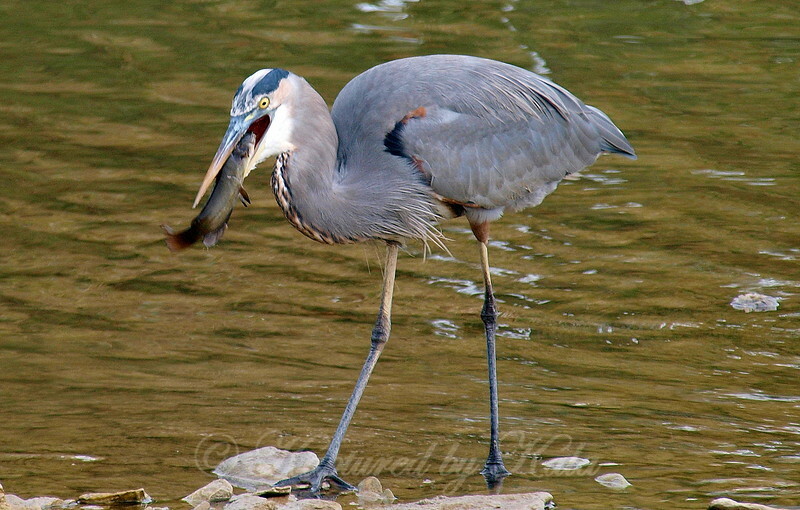 To my surprise, something stopped the heron from swallowing the fish and it started coming back out of the throat. Maybe it moved a little which tickled the throat. Who knows?